Let's take your Rubik's Cube magic to the next level! 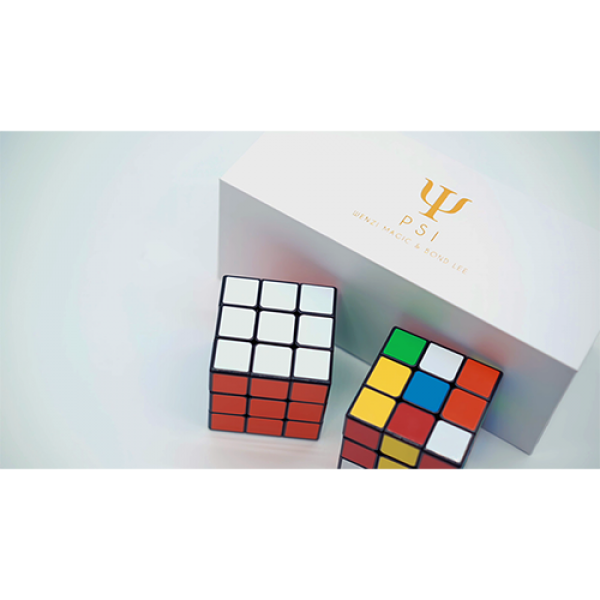 PSI is a revolutionary gimmick which is perfect for mentalists. During a multi-phased routine, the magician can accurately predict the outcomes in a mind blogging manner. This prop requires no assistant and it is self-contained. The gimmicked cube functions like a normal cube, so you can use it for other routines as well. An extra ungimmicked cube is also supplied for your performance. PSI works with various stacks and sleights, so you can add this gimmick into your existing routines and make them even more powerful! For information on refill (parts) of this trik see thie following LINK.